I might have been in the sixth or seventh grade when my teacher asked, at the start of our mandatory Islamiat class at the convent school I attended in Karachi, if we were Shia or Sunni. “Raise your hand if you’re Sunni,” she instructed. I turned to a friend. “Am I Shia or Sunni?” I needed to know immediately; hands were going up pretty fast. “Well, I’m Sunni, so you must be too,” my friend replied. My hand went up. I met Dr Naqvi a few days before the start of Muharram, the month of mourning for the death of the Prophet Muhammad’s grandson Imam Hussein in the Battle of Karbala in 680 CE, almost 50 years after the death of the Prophet. 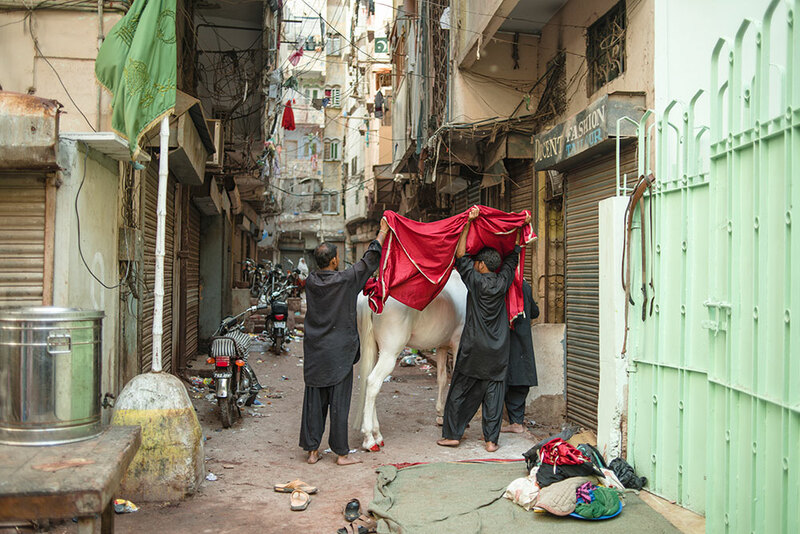 In gatherings of Shia Muslims during this month, a horse (often snow-white) called the Zuljinnah will make an appearance, walking with the mourners during the processions. It has no rider, nor will it ever have one. 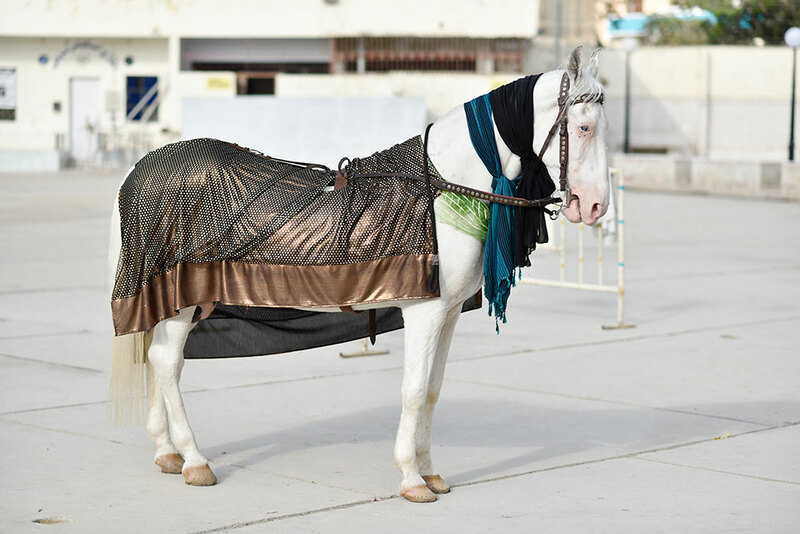 The Zuljinnah (meaning “the two-winged one”) is a replica of the horse Imam Hussein rode. According to accounts of the battle of Karbala, Imam Hussein and his 72 compatriots (including the Imam’s six-month-old baby boy) were brutally killed by a corrupt caliph’s army of up to 10,000 men and at the time of his death, the Prophet’s grandson had been alone, shot at by arrows and stabbed 33 times. His body was pummelled under the hooves of the caliph’s army’s horses before he was beheaded. Legend has it his loyal horse refused to abandon him. The Arab stallion wept, and, covered in his master’s blood, returned to the camp to inform the remaining women and children of Imam Hussein’s death. In the years since, this moment – when the cleft between Shia and Sunni Muslims deepened irreparably – has been resurrected in this witness every year during Muharram. On 13 April, I finally managed to get through to Tasnim Aslam, the spokesperson for Pakistan’s ministry of foreign affairs. 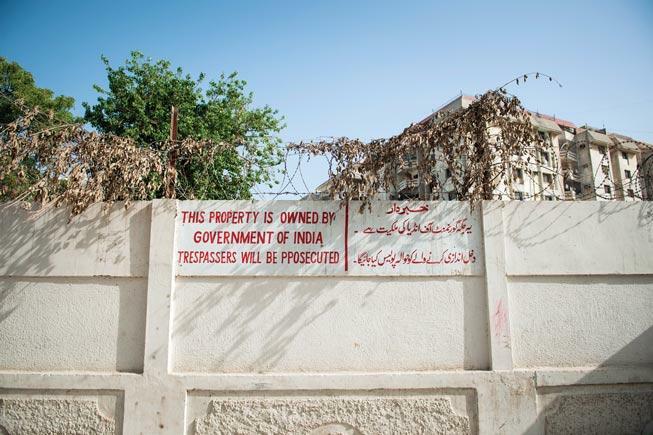 I had called to inquire about three properties I had seen in Karachi, all surrounded by barbed wire-topped walls bearing the same warning painted in bright red: “This property is owned by Government of India. Trespassers will be prosecuted.” The moment I was done asking my question, the line was disconnected. I called Aslam back. “There must have been some problem with the connection,” I said. No, she replied. “If you needed to ask me this, you should have SMS-ed me.” I explained that I had several questions, and asked if I could email her instead. “If you wanted to email me, you should have talked to my staff in the first place,” she said. She hung up again. I called Hasan, and asked about the properties for the third time that day. 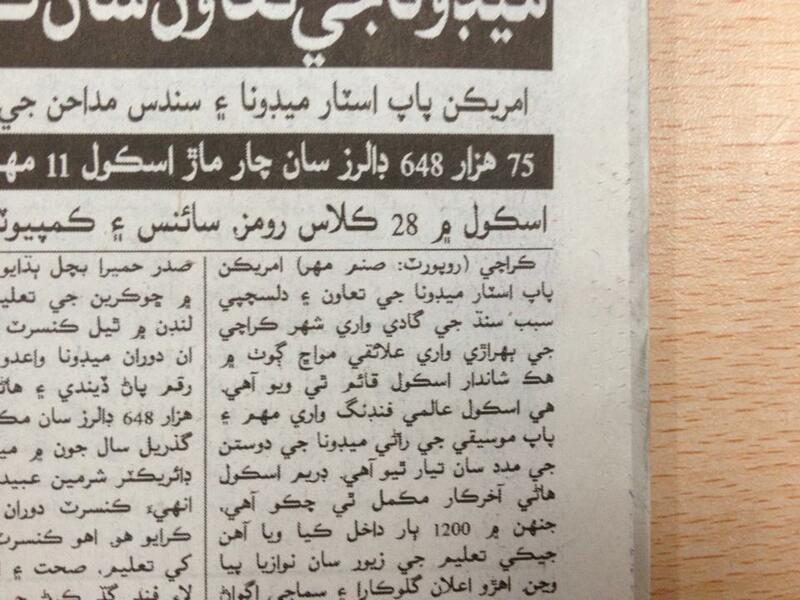 “There’s no such thing as the Indian government’s properties in Karachi,” he said. But there are—I’d seen three such places already, and the signs on their walls, I insisted. I asked Hasan if I could email him a photograph of one of the properties. “You can,” he said, “but I don’t plan to check my email today.” I sent the photograph over, but never heard back. 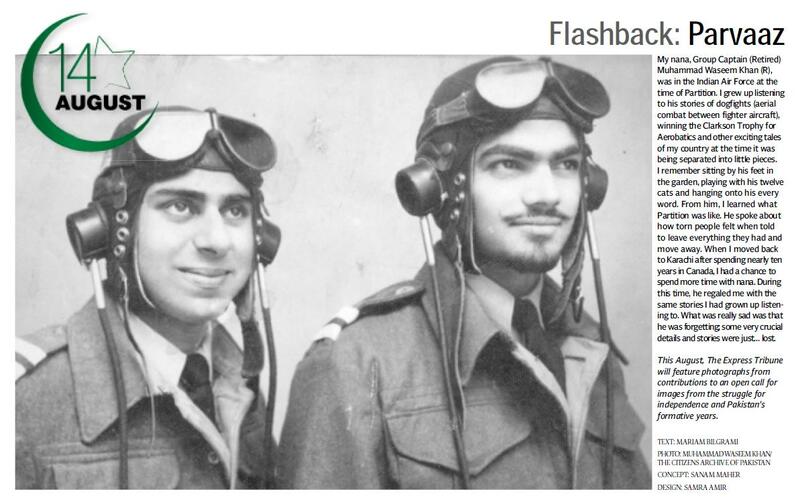 Subsequent searching revealed a total of six Indian government properties in Karachi: India House, at 3 Fatima Jinnah Road; India Lodge, at 63 Clifton; Hindustan Court, at 42-43 Kurrie Road; Panchsheel Court in Frere Town; Shivaji Court on McNeil Road, and Hut 61, Hawkes Bay. 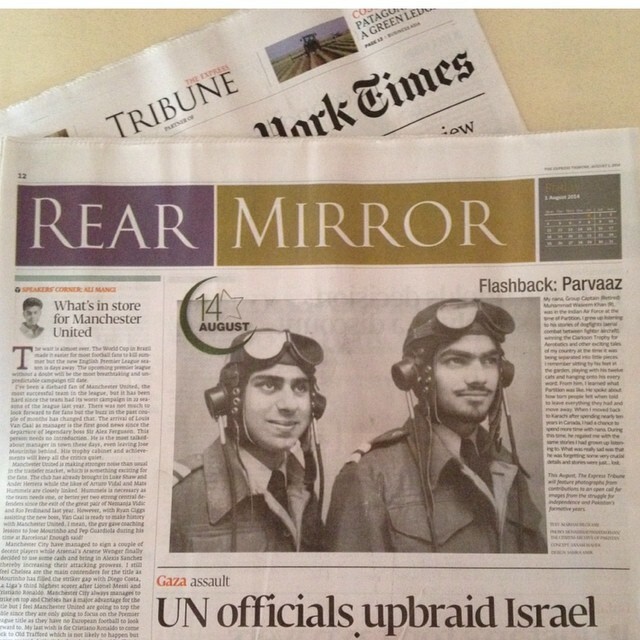 These spots are, and for the foreseeable future should remain, small dominions of the Indian republic within Pakistan. It took a global funding campaign – and a little help from her friend pop queen Madonna – to get Humaira Bachal her dream school. “The Dream School is finally finished. 1,200 kids attending. Knowledge is Power!” singer and social activist Madonna announced on the photo-sharing website Instagram on Monday, with a photograph of the Dream Model Street School in Karachi’s Mawach Goth.